He makes an excellent season and we find him in the fourth place in the Premier League. He hopes to get to Lague Europe this year. Even the shape of the moment is not bad. He has only one defeat in the last eight games. He comes after a moral draw with Celtic (2-2), a match in which he was able to come back from 0-2. Let’s say they do better on the move than on their own. At least that’s what the results say. They will miss Ross Laidlaw, David Gray and Liam Fontaine. The probable team (4-5-1): Marciano – Whittaker, Ambrose, Hanlon, Stevenson – Boyle, McGeouch, Bartley, McGinn, Barker – Stokes. He is the second in the Premier League, five points away from the leader. It comes after three consecutive wins and the shape is good. Last round won home with Ross County (2-1). The attack is the strong point, the second in the championship. There are some real problems. You can not count on Lee Wallace, Graham Dorrans, Jordan Rossiter and Ryan Jack. The probable team (4-4-2): Foderingham – Tavernier, Alves, Wilson, John – Candeias, McCrone, Holt, Pena – Miller, Morelos. Lately, we had extremely spectacular games between these bands, with many goals. Let’s say that Hibernian won the previous three direct confrontations. I am looking forward to a spectacular match with many goals and I chose an Asian handicap with a total return of stakes in the case of two successes. We have two teams in front and we rely on this. Both look very good on the attack phase lately. 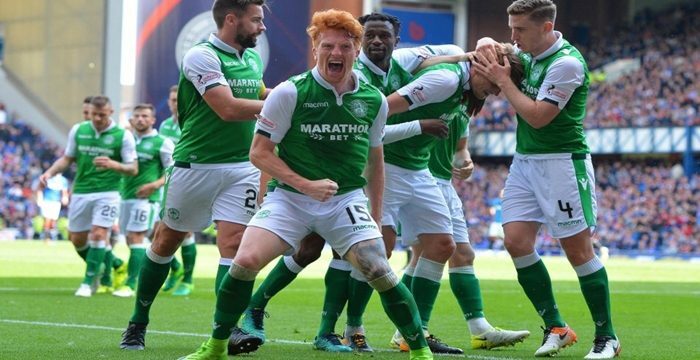 I saw Hibernian scoring twice against Celtic on the weekend. That says a lot about her offensive. On the other side, Rangers passes two goals scored on average on the move. And statistics is on my side. Each of the last five direct encounters ended with at least three successes.